Turn your toilets into environmental heroes! Almost 80% of all pharmaceutical residues from our society reach nature through our municipal sewage systems. Via the toilets, the residues travel to the nearby sewage and later to the treatment plants, which often lack the ability to completely break down the hazardous residues before they enter nature. 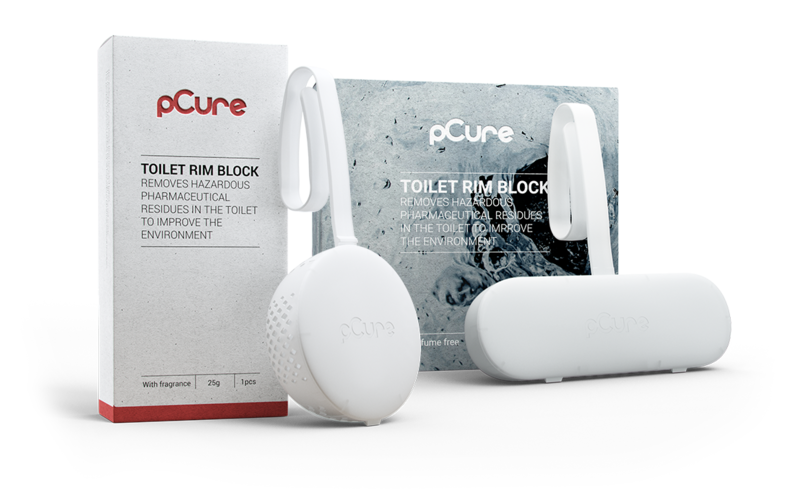 pCure is a collection of household products that break down environmentally hazardous pharmaceutical residues. The products contain enzymes that are released into sewage where they degrade and neutralize targeted residues before they reach nature. Its design makes it suitable for use at almost any toilet model. Engage you and your company in water initiatives! pCure is a creative and fun way to engage entire buildings or organizations in water treatment. The use of the products are not restricted to what kind of business you are in and scales perfectly with company size. 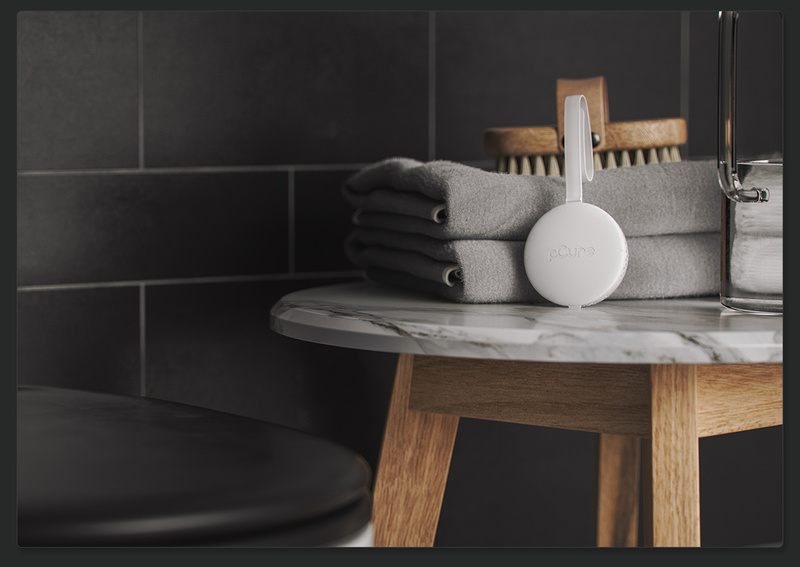 With a few clicks away, you have invested in the local water environment, where all employees and visitors contribute at each toilet visit. When the first payment is made, the first delivery will be sent. We give you tips and information on how to get started. Through pCure, we want to offer our customers more than just the use of a product. We want to present lifestyle commitment. From the total use of the products, we gather important information and convert the data to a target audience. The information is then presented as how much residues you prevented reaching nature through your nearby sewers. 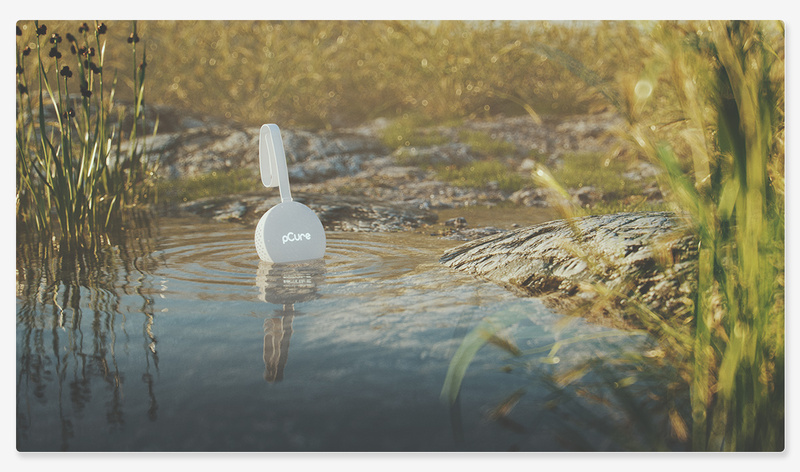 We will make it easy for everyone to understand how much your company has positively contributed to the local water environment by using pCure. You should contact Manuel Ferrer, Head of Communication at +46 (0) 70 66 60 259 or manuel.ferrer@pcure.se if you have a media query or you’re a journalist. Thank you for contacting us and showing interest in our products!